Obituary for Major Gary Francis Collins | W. J. Dooley Funeral Service Ltd. It is with great sadness that we announce the peaceful passing of our brother and uncle Gary Francis Collins, age 64, on Wednesday, April 3, 2019 at the Cape Breton Regional Hospital after a courageous fight against cancer. Born in North Sydney on July 21, 1954, he was the son of the late Martin and Dorothy (Holbeche) Collins. 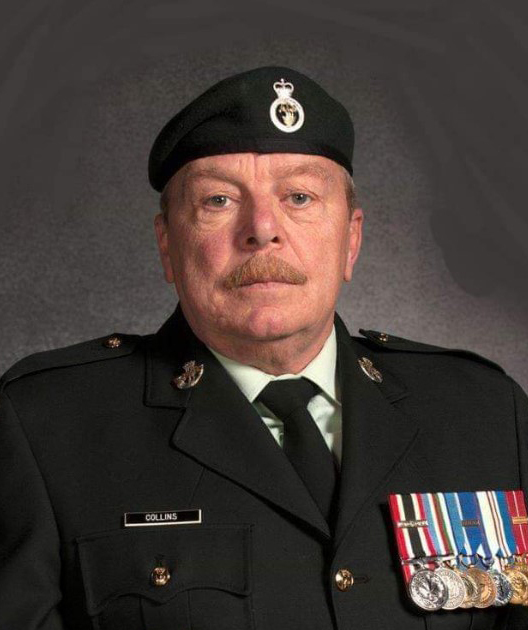 Gary served our country with the Princess Patricia’s Canadian Light Infantry of Canadian Armed Forces for 42 years with the Regular and the Reserve Army retiring in May 2014. He was a long serving member of the Royal Canadian Legion Branch # 83, Florence, former member and chief of the Middle River Fire Department, as well as the Emergency Measures Coordinator for Victoria County. Gary became actively involved in every community he lived in. He proudly helped spear head “Canada’s 150 Birthday” campaign to deliver flags to every home in Florence. He is survived and will be greatly missed by his sisters Debbie MacLeod, Maureen (Tony) Churchill, his brothers Bruce (Joan) Collins and Wilson (Lydia) Collins, as well as nieces Lisa (Louis), Angelica (Jonathon) and Rebecca; nephews Martin & Joshua, grandnephew Noah and grandniece Vega, as well as a large extended family from across Canada. Besides his parents, Gary was predeceased by his nephew and godson Sam Collins. A special thank you to the Cancer Care Unit of the Cape Breton Regional Hospital. By request there will be no visitation. A funeral mass will be held at 11:00 a.m. on Saturday, May 4, 2019 at St. Joseph Church, Archibald Avenue, North Sydney. Burial to take place at Holy Cross Cemetery, North Sydney. A reception to follow at the Florence Legion. Funeral arrangements are under the care and direction of W.J. Dooley Funeral Home, 107 Pleasant Street, North Sydney. In lieu of flowers memorial donations may be made to Wounded Warriors of Canada or a Legion of choice. Online condolences may be sent to the family at www.wjdooley.com. There's still time to send flowers to the Funeral Mass at the St. Joseph Church at 11:00 AM on May 4, 2019.